Taiko Wales is a dynamic association of experienced practitioners who aim to spread the joy of Taiko drumming throughout Wales, so that the benefits of playing Taiko can be enjoyed in Welsh communities – whatever the age and whatever the ability of the people taking part. 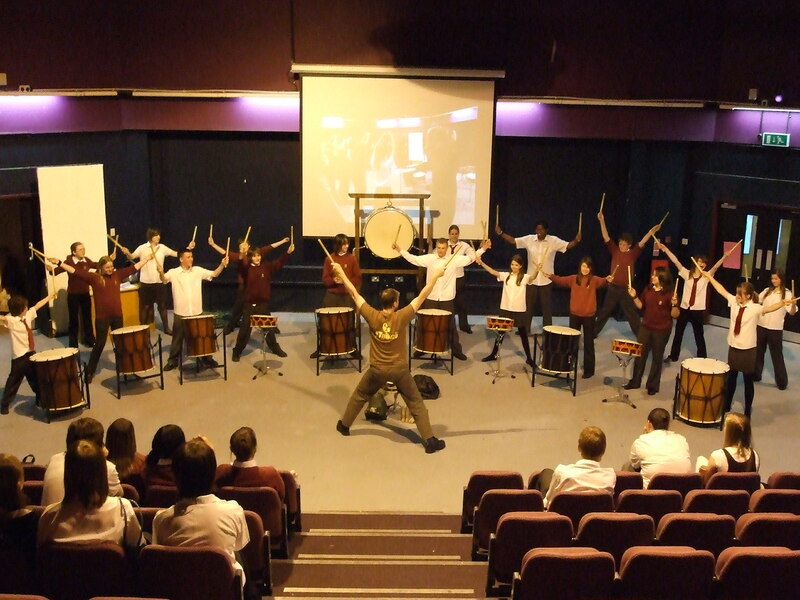 Taiko Wales actively promotes connections within the Taiko community, both in the UK and internationally. We performed in 2017 at the 70th International Eistedfodd in Llangollen. With a respectful understanding of the cultural roots of Taiko in Japan, we aim to bring this energising traditional art form into Wales in order to provide joyful, participatory experiences and opportunities to explore the potential benefits to health and well-being that Taiko offers. We provide workshops for people of all ages and abilities. We promote arts and health events. 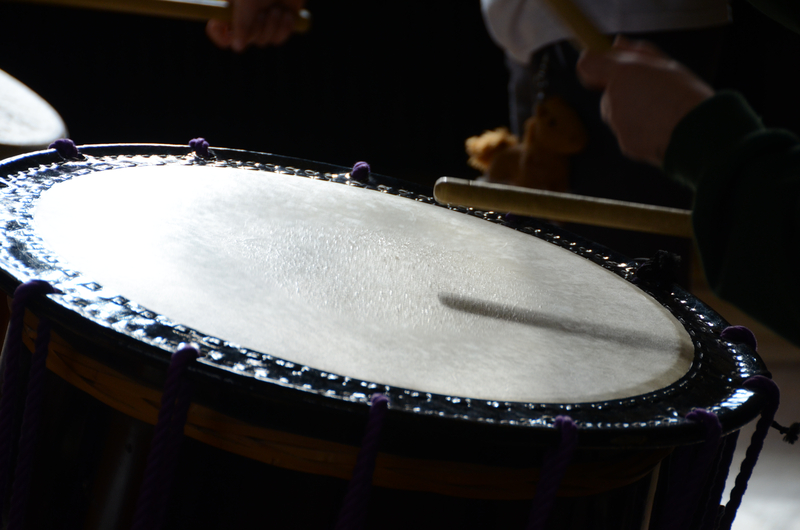 We are a hub for news and connections with other Taiko groups in Wales. Please contact us if you would like us to perform at your event.